Professor Todd Little, recipient of The University of Auckland Hood Distinguished Visitor Award. In the U.S., suicide is the second leading cause of death in youth aged 10-24 and young adults (aged 25-34 years). In NZ, 2018 saw an increase in the rate of suicide for the fourth year in a row with the highest number of suicides recorded since the beginning of the recording of these statistics in 2007. Highest also were the number of Māori suicides recorded. The highest number of suicides was in the 20-24 age group. In 2016 the National Institute of Health convened the Pathways to Prevention Workshop: Advancing Research to Prevent Youth Suicide. The goal of this workshop was to summarise youth suicide prevention efforts with the aim of developing strategies and guiding research on youth suicide over the next decade. In his lecture Professor Todd Little will talk about how policy and research can optimise youth suicide prevention efforts by highlighting strategies and recommendations that came from this workshop. These strategies include recommendations for improving data systems, enhancing data collection and analysis methods, and strengthening the research and practice community. 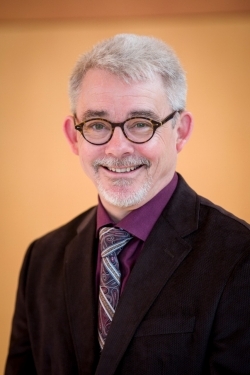 Dr Todd Little is a Professor and Director of the Research, Evaluation, Measurement, and Statistics Program at Texas Tech University where, in 2013, he became the founding director of the Institute for Measurement, Methodology, Analysis and Policy. Professor Little is internationally recognized for his quantitative work on applied Structural Equation Modelling as well as his research in human development, particularly action-control processes and motivation, coping and self-regulation. In 2001, Little was elected to membership in the Society for Multivariate Experimental Psychology, a restricted-membership society of quantitative specialists in the behavioral and social sciences. In 2009, he was elected President of APA’s Division 5 (Evaluation, Measurement, and Statistics). In 2013, he received the Cohen award from Division 5 of APA for distinguished contributions to teaching and mentoring and in 2015 he received the inaugural distinguished contributions award for mentoring developmental scientists from the Society for Research in Child Development. Professor Todd Little is the recipient of The University of Auckland Hood Distinguished Visitor Award. This seminar is open to public and will be of particular interest to those involved in suicide prevention research, in setting policy around suicide prevention and those who work in related fields.